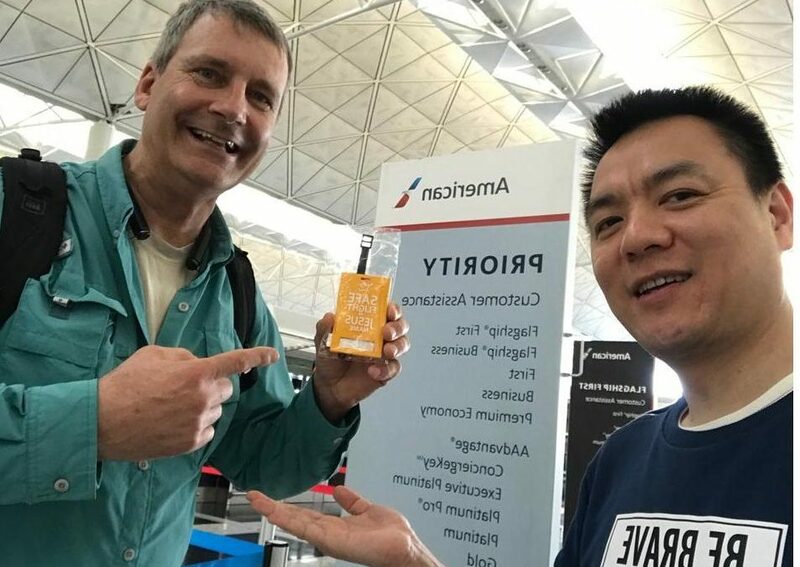 As Cliff Andrews (retired from American Airlines) was flying home after a visit in Asia, he had opportunity to spend time in fellowship with Joel Lee at the Hong Kong International Airport. The two enjoyed time together sharing what God is doing in their personal lives and how He is working in and through the lives of airline people throughout the world. Joel is a pilot with Cathay Pacific and is based in Hong Kong. He and several others lead a Christian group there, the Hong Kong Aviation Christian Union.